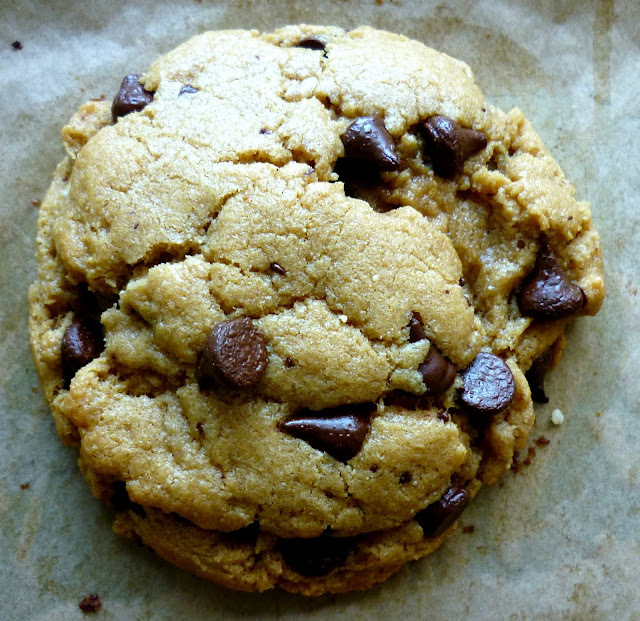 I came across a recipe on Pinterest for peanut butter cookies which looked too good to be true. 5 ingredients - that's it. I thought there was no way it could work, but after extensive googling it seems I'm quite behind in my thinking and this simple recipe really is as easy (and yummy) as it looks! I love recipes like this as they are made using things I always have in my cupboards and my boys love peanut butter so with the summer holidays just around the corner, I know I can make these as a treat to store in the cookie jar as they keep well for up to a week (if they last!). 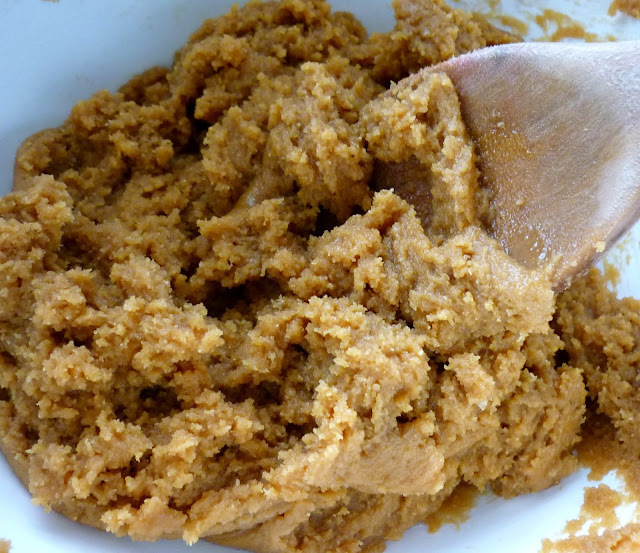 The recipe recommends smooth peanut butter and I do advise trying it this way first, I'd love to try this with some add ins next and maybe substitute some chocolate chips for nuts? 5 ingredients - that's it!! My dough stayed quite moist and came together nicely when I was rolling it into balls but if yours looks a bit dry (my dough is pictured below) and the chips keep falling out then add about 50g more peanut butter to the mix and go from there. If they look dry they will bake dry and I think mine were just right but the weather where you are will dictate this. I can't even convey to you how good these are, so full of flavour and melt in your mouth. If you're a peanut butter fan you WILL love these. I still can't believe they're technically gluten free too! 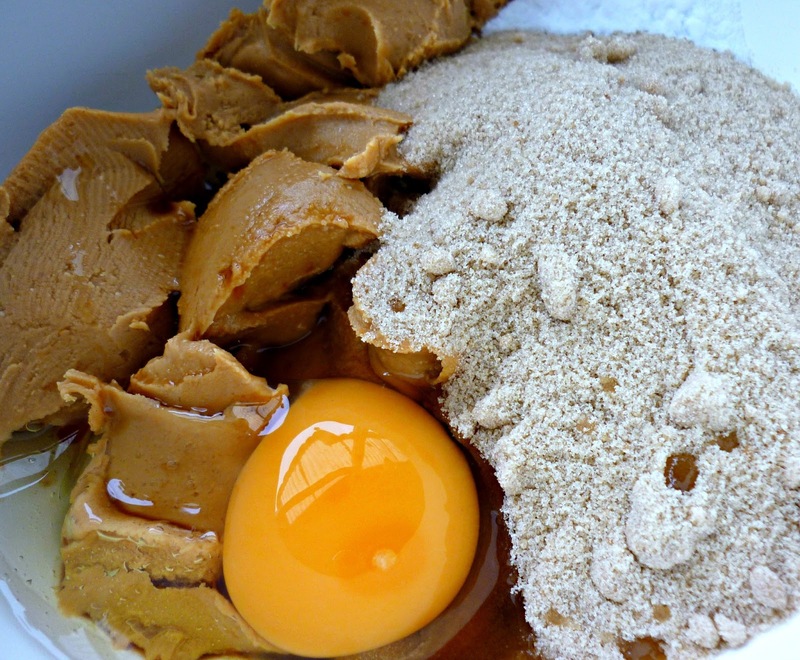 Combine peanut butter, egg, vanilla and sugar until pale and fluffy. Add bicarbonate of soda and mix in until combined. 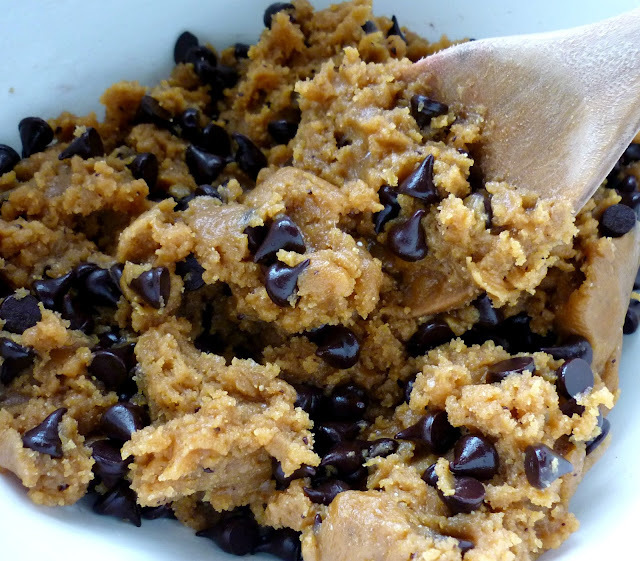 Add chocolate chips and mix until combined. 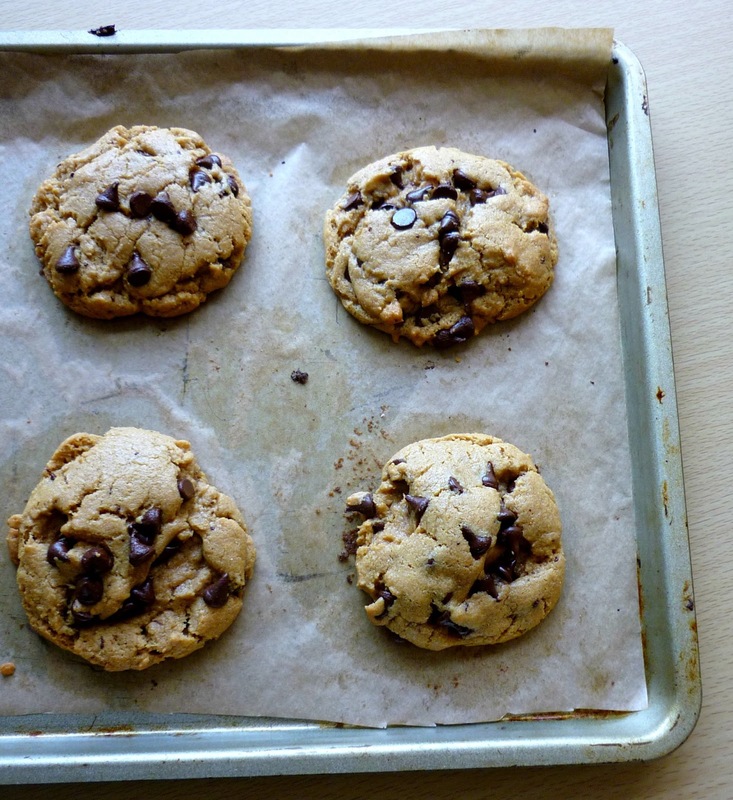 Preheat oven to 350F/180c, line 2 baking trays with baking parchment and using an ice cream scoop drop spoonfuls onto tray leaving approx 2" between cookies. Flatten *slightly* before baking. 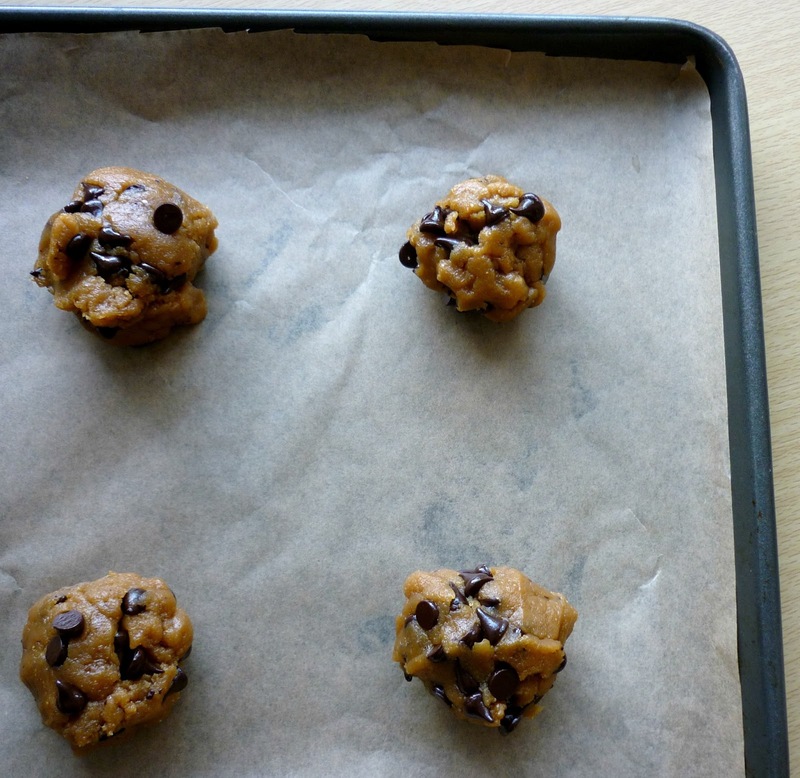 Bake for approx 10mins and be careful not to overbake as the cookies will harden as they cool. 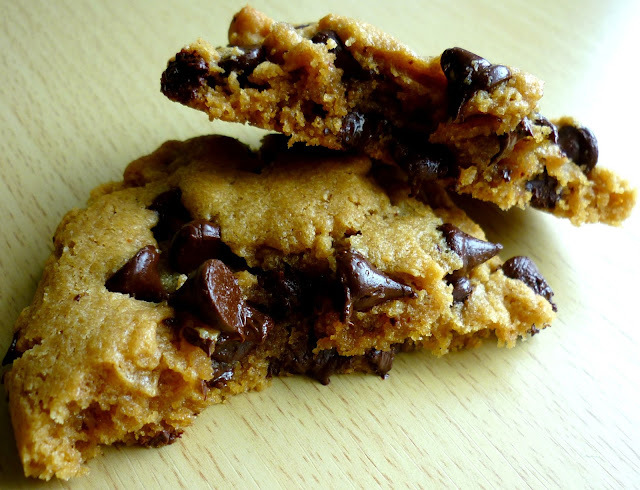 These cookies really are best eaten whilst soft and the brown sugar keeps them soft when stored in an airtight container. This looks so good and easy. 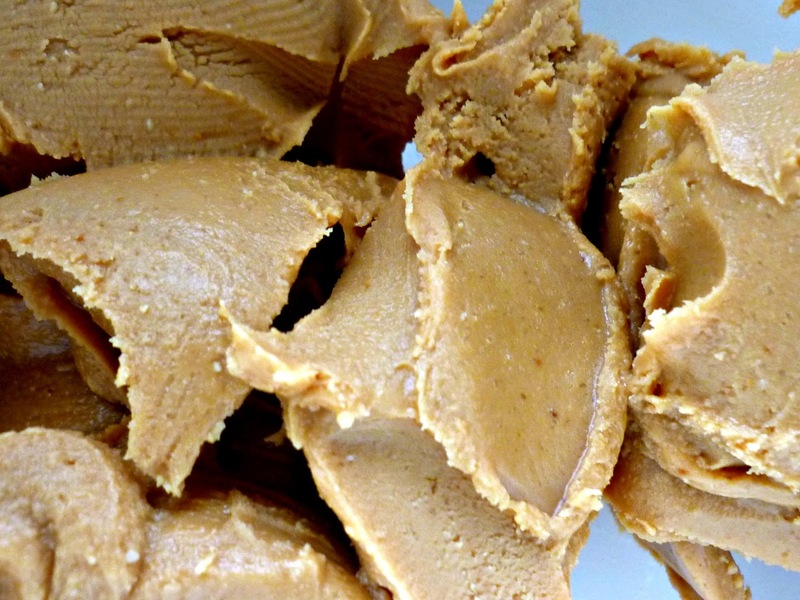 I love peanut butter so will be trying this recipe soon! These look so good! I can't wait to try this recipe. Would you mind if I posted this on my blog? Of course linking back to you and this and blog. Of course, I hope you enjoy making them! Thanks so much! I so can't wit to try these. They look so gooey and yummy!